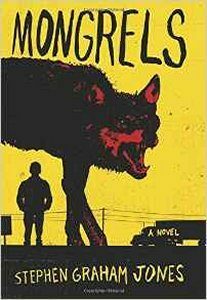 Mongrels, Stephen Graham Jones (William Morrow 978-0-06-241269-0, $24.99, 320pp, hc) May 2016. For some time, now, Stephen Graham Jones has been writing fiction that boldly engages familiar horror tropes, from demonic posses­sion, to the serial killer, to the zombie, in the process compiling one of the more impressive and interesting bibliographies in recent memo­ry. Now, in Mongrels, his excellent, exuberant new novel, he turns his attention to the were­wolf. In love with storytelling, the book focuses on the werewolves who comprise the family of the book’s narrator. The werewolf’s existence, Jones tells us, tends to the temporary, the itiner­ant, their activities while in wolf form making it difficult for them to remain in one place for any length of time. As a consequence, their for­mal schooling is a haphazard, patchwork affair, conducted as much via the answers to the ques­tions on TV game shows as by time spent in the classroom. The learning that matters most to them – the nature of their biology, the his­tory of their family, the traditions of their spe­cies – is transmitted through stories passed on by family. 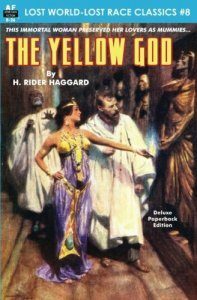 In this case, that means first the nar­rator’s grandfather, and then his uncle and aunt, siblings of the mother who died giving birth to him, with occasional information coming from a miscellany of secondary characters along the way. Since Darren and Libby, the uncle and aunt, respectively, underwent their first trans­formations at the age of ten, there is an urgency to the narrator’s early education, as a means of preparing him for what lies ahead. By the time he reaches 12, however, he has not transformed from human to wolf, and this gives a different kind of urgency to the stories he learns and in some cases participates in, as he fears they may be the closest he will come to the experience of his uncle and aunt. As the novel portrays it, the human portion of that experience is less than romantic. Indeed, the circumstances of their daylit lives are dia­metrically opposed to the aristocratic trappings traditionally associated with supernatural crea­tures (i.e., the vampire). Instead of immortal­ity, these werewolves live shortened lives, their years consumed by the toll of their transfor­mations, which happen much more frequently than every full moon, driven by the needs of their furious metabolisms. Rather than inhabit­ing castles high in the Alps, they stay in rented trailers, motel rooms, and sometimes cars, plac­es that are cheap and easy to move in and out of. Forever on the verge of discovery, they are regularly on the move, keeping to the states of the Deep South and southwest, locations where there is rarely snow that would facilitate their tracking. Because they have difficulty holding down jobs of any sort, they are not possessed of much in the way of material goods, let alone, ancestral treasure. Many of the most notable horror narratives have shown a concern, even obsession, with place, which has been made manifest in the creation of such locales as Lovecraft’s Arkham and Stephen King’s Castle Rock. In contrast, Mongrels is a novel of the road. The narrator and his family’s cross-country treks echo what the book presents as one of the principal pleasures of the werewolf, namely, movement: running through the woods on all fours, aware of and alive to the surrounding nature with all the fullness of a wolf’s heightened senses. As the novel roams geographically, so it roams through werewolf lore, organizing each chapter around a different facet of their existence, which it illustrates with examples from the lives of the narrator’s family. The chap­ters satisfy the narrator’s (and reader’s) curiosity about (say) what exactly the transformation from human to wolf is like, but they also reveal a thread of melancholy winding through the novel. 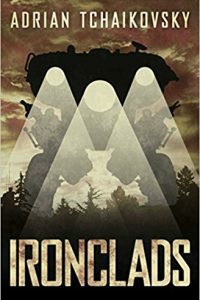 It’s a consequence of the werewolves’ unique state, and in the case of the narrator, is made more acute by both the absence of his mother and his ongoing worries about his failure to transform, all of which gives the book an added emotional heft. It’s no surprise to find a novel about shape-changing creatures displaying a concern for no­tions of identity, and Mongrels does this in a vari­ety of ways, beginning with character and moving outward from there. The very title of the book evokes the idea of the hybrid, which is how it con­ceptualizes the werewolf, as a creature known by its transformation, by its status as both human and wolf. Its narrative construction demonstrates this same hybridity, alternating chapters told from the narrator’s first-person point of view with shorter, third-person chapters in which he is described in terms of a succession of identities: vampire, re­porter, criminal, biologist, etc. 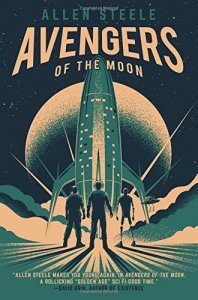 At the same time, the novel romps happily through American popu­lar culture, alluding to classics of science fiction, western heroes and villains, favorite rock and roll songs, inviting the reader to draw connections between each of them and itself. There’s a play­ful nod to Robert McCammon’s 1989 novel of a Nazi-fighting werewolf, The Wolf’s Hour, done in such a way as to claim it as this narrative’s an­cestor, and a more general sense in which Mongrels is a kind of response to McCammon’s 1991 Boy’s Life – if that boy were part of a family of werewolves. The novel’s surprises continue to the very end, when it opens outward in unexpected and startling ways. One of the books of the year, Mongrels doesn’t linger in the mind: it races through it, eyes bright with the moon, breath hot in its mouth, paws thudding over the forest floor.